We specialise in domestic and commercial Telephone Lines and NBN Installation and Repair Sunshine Coast Queensland, ADSL lines , Internet lines, Mdf Frames Coolum Beach Queensland installation / renovation and extensions, patch panels, Phone line central filter install, telephone networks, modem switch and wifi range extender install and setup, we also locate and repair any faults you may be experiencing. We also install new lead in cabling from the street for NBN, underground or aerial cabling. Need a phone line installed, repaired or additional outlets In your home or office premises? If you have been notified by your internet or phone service provider that up to the network boundary is ready for connection of your new ADSL, Naked or phone /fax line. Our technicians are ready to complete your connections A.S.A.P !No waiting around for two weeks to a month for Telstra etc. Our phone tech will visit your home at a time convenient for you and will install or repair your phone point cabling and phone socket, and if needed upgrade that 30 year old cable to ensure high speed internet and crystal clear voice. We test all phone sockets at the end of each installation with phone test equipment. Almost every business uses telecommunication to operate on a daily basis. 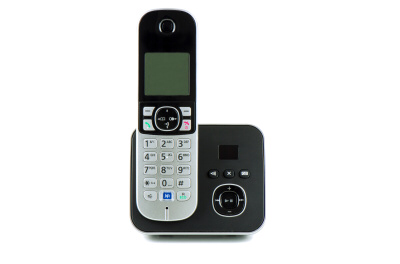 At CableTech we can help to design and install an internal telephone network to suit your home or business. From a small business requiring phones in a few offices to large business requiring many. More than likely your service provider will tell you that you will need to contact a third party telecommunication contractor in order to have a lead in cable installed to your first point of connection. CableTech technicians are licensed to help you with trenching and installing all underground and aerial lead in conduits and cabling right up to the service providers connection box on the outside of your building or the first TO in your home. Our techs have had 4 years on the job training and schooling with Telstra, 2 years training with Optus, 2 years experience Terrestrial 1 Communications. Four years training with "Pauls Antenna Service" "Plus over 20 years in the field experience". Our team of experienced and licensed Telephone line technicians assist businesses big and small, with all their Installation / variations of telephone and data communications cabling. We can install your new lines from the MDF frames and setup your whole office, ready for business in a quality lasting fast and reliable service. Then we will give you a brief run down on how it all works. If you ever experience any problems, you won’t be waiting months (e.g. Telstra ), we will be there same or next day to ensure minimal loss of business, our service guarantee. To ensure your premises are NBN ready you may need additional cabling and conduits in order for your NBN installation to go ahead. CableTech can send out a technician who can walk you through what needs to be installed to get your premise up to date and NBN ready. This includes lead in cabling, any internal cabling, replacing old wiring and updating any wall sockets that will slow down your network speeds. Wireless internet installation at your premises. Our internet installation services will ensure that your home computers, tablets, laptops, printers, CCTV and mobile devices are connected and operational across your entire home or office network. Once our Cable Tech has setup your home broadband or wireless connections, they’ll check your internet speed test to make sure your devices are achieving the fastest speeds possible. CableTech is the first choice for MDF Jumpering Sunny Coast. If your Telco has advised you that you need to organise your own telephone technician to complete MDF Jumpering Secure a Com is the Telecommunications Company Sydney turns to. With over 15 years of experience if the field of telecommunication and great customer satisfaction it’s no wonder we get direct referrals straight from some of the major Telco’s such as Telstra and TPG . We are registered cablers with the Australian Communications and Media Authority so you will be guaranteed that your MDF Jumper tech will be a highly skilled telecommunications technician. We will not just connect your MDF Jumper and leave, we will test the line to make sure it passes Telstra specifications or higher, and because all our MDF Jumpering techs are qualified and certified telecommunications technician if we discover a fault we will also fix that while we are there so you will have a high spec problem free phone line. If you keep experiencing problems with an old and outdated MDF (Main Distribution Frame) or sometime also called a Telstra Connection Box, we can upgrade your MDF with a modern main frame so all your connection points are safe and secure. If you are thinking about updating your MDF you might not be aware that this is the responsibility of either the Landlord, Strata Company, or Building Manager. Telstra does not take responsibility of the MDF because the MDF is the point at which all the internal phone lines for that building meet with the Telstra Network cable, so in this case the responsibility falls back to the manages of that particular building. CableTech can upgrade your MDF with a minimum amount of disruption to your building. If you’re a landlord, building manager, strata company, or body corporate or builder and have been in need of an MDF upgrade, work with the most reputable communications company on the Sunshine Coast . They also give you the option of seeking your own contractors, this is where we just might be able to help. Depending on what you need we can excavate and trench in a new lead-in cable, enclosed in Australian Standard Communications Conduit and connect to the internals of your house and have the other end tested and ready for Telstra to connect into their network. On the other hand, you might have a fault in your lead-in cable and it comes in aerial and goes to a private steal pole first before it goes to your home or business. If this is the case due to OH&S reasons all technicians working for Telstra, contractor or employee are NOT permitted to climb these poles, so again you will need to find a company that can do this. We perform this service for our clients so you will be able to have a working line again. Want a new socket somewhere? Are you sick of running extension leads around your home or office to try to connect modems, phone, and fax machines to the nearest socket that is just not near enough? Let us wire in a brand-new socket for you so you can get rid of all that clutter. Install a new socket in just about any location of your home, unit, office, or factory, we will find the most discreet cable run so as not to be an eyesore. Once your new socket is installed by our ACMA accredited technician, it will be tested and ready for you to sign off on in no time, so you can get connected. 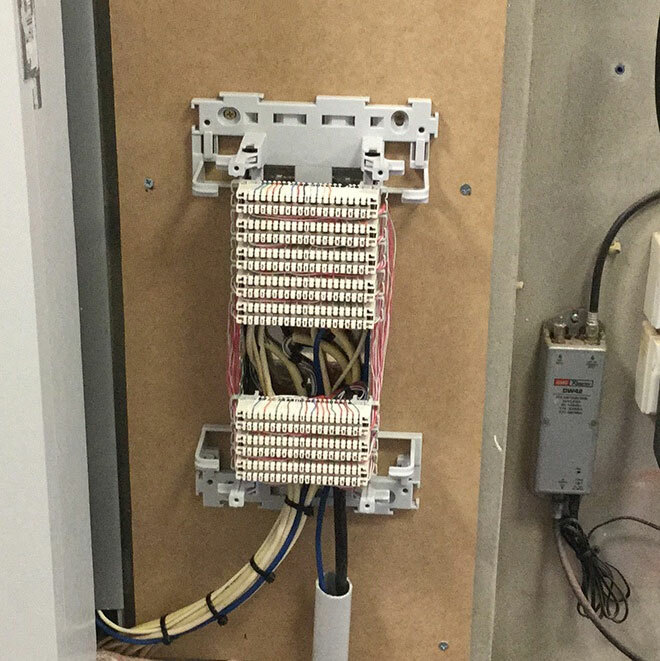 Sometimes when you move into a new unit or office block the jumper wire is not connected at the MDF (main distribution frame) which is the main connection point in your building where the main Telstra cable from the street meets with the internal phone cables from each unit of office. Telstra is only responsible with connecting to one side of the MDF and so are some of the other Telco’s. Generally they will connect a tag at the MDF on the Telstra side of the MDF and then they will leave a card under your door or in your letter box advising you will need to have someone connect the lines into your office or unit. This is generally for businesses in office blocks but there can be some circumstances where you may be required to find a communications technician to identify your internal cable at the MDF and run what is called a “jumper wire” even if you are in a domestic unit also. Secure a Com provides this service to Sunshine Coast businesses and units that may require someone to identify and run jumper wires..
Are you looking to have your home or office wired for high speed internet? We can provide you with the right cabling that will meet your needs. Install your sockets and outlets at the office end and neatly wire all the cables back to your patch panels, were will terminate and secure into the frame. Every single data cable is tested for continuity and open and short circuits to ensure a smooth implementation of your network. Data cabling on the Sunshine Coast is one of our specialties so if you are looking to have your home of office wired for speed, look no further. Experiencing ADSL dropouts? Do you have slow internet speed? If your ADSL internet speed has slowed to a crawl and your pages are taken longer than expected to load, you may have an internal wiring fault. We find that 75% of the time the problem will be a network issue with the Telstra line. But a lot of the time Telstra or your ISP will advise you that the problem is internal and you need to seek your own private telephone technician. This is where we come in, we will check to see if the problem is a network issue or an internal issue first. If we find the problem is a network issue we then provide you with a report that you can submit to your ISP where we will detail that the issue is indeed a network fault, and most of the time you can get a refund or credit from your ISP for our call out fees and labour cost. If we find the problem is internal we will make the repairs and you will be back surfing the net in no time. We are the #1 company on the Sunshine Coast recommended and referred by many of the major ISP including IINet – TPG – Optus – Telstra – Exetel and others. We provide you with a very reliable and speedy service that can locate and repair many of the common ADSL faults within 1 hour. We travel to most suburbs on the Sunshine Coast and sometimes even diagnose the fault you are experiencing over the phone. A lot of older homes are wired with ribbon cables and other outdated types of cable, this can be a factor in why your speeds might be slow. Also the sockets being used in the older homes can become faulty and this can slow down your speed dramatically. We can check and test all the leads you are using to make sure it is not something very simple. We can assess exactly what the issue is when we arrive and get to fixing it quickly. If you are having problems here are a few things you can do now to check yourself to see if you can fix the problem yourself. Unplug all phones, fax machines and any other devise that plug into the socket. Remove the ADSL filter from the socket. Plug only the modem into the socket using the newest lead you have. Cycle your modem buy turning it off for 30 sec then turning it back on again. If you now get sync and internet perform a speed test and see if your speed has gone up. If you have done this test and your speeds come back up there is a good chance that something you had plugged into one of the other sockets is causing you the problem. Then start plugging one thing back in at a time as you perform a speed test after each new item is plugged back in. Was your lead-in cable installed in the stone age? If you have been told by your ISP that you need to find a private contractor to install or repair your lead-in cable? CableTech can provide you with the solution that you have been searching for, we take care of the lot so you can rely on your Comms cabling. What is a Lead in Cable ? Your lead in cable is the cable that connects your home or office to the Telstra infrastructure. This cable will connect to the pit or pole in the street at one end and the other end to the NBP (network boundary point) . This cable can be installed in two ways, depending if the network is aerial or underground. If your street has pits and pipe infrastructure then it will be underground and if not it will be run up under the electrical line on the telegraph poles. The lead-in cable is usually a 2 pair cable for domestic premises and 10-100+ pair for businesses. Each pair allows for one phone line to be connected, so this means that generally each home has the ability to have two POTS lines (plain old telephone service) or two ISP’s. (internet service provides) Most new underground lead in cable are filled with a gell type substance to keep out the moisture, and in some areas it has a special hardened sheath for the tough Australian biting creatures such as ants and rodent. Who owns the lead in cable? This is a tricky topic. In simple terms Telstra do, but there are many shades of grey around who has to maintain replace and install this cable now. In the past every part of the Telstra network would be maintained free of charge by Telstra.Telstra own all the infrastructure and the other providers such as TPG IINet Optus lease it from Telstra. Note: Optus do have some of there own infrastructure but it pails in comparison to the Goliath of Australian Telcos. If you see the example image to the left you will see that the lead in cable has a foot in both the occupants premises and the network, so who pays for what? If you have a fault Telstra is responsible from the NBP (network boundary point) to the pit or pole in the street. The NBP will generally be the first socket of the house were the lead in cable terminates, and if you are in a unit or offices it will be the MDF (main distribution frame). Telstra will fix and make good most of the time if the lead-in cable is faulty, but more and more we are finding that Telstra is delaying replace the lead in cable and we now hear sometimes just refusing to replace it altogether. If this is you i bet you are pulling your hair out, right? Experiencing problems with your phone line ? ADSL has slowed to a crawl ? If you are experiencing problems with your phone line and you have been told by your ISP or Telco that you need an ACMA approved telephone technician to make repairs to your phone line? You have come to the right place. We are highly trained and accredited telephone technician that can provide fast fault finding and repairs to your home or business phone or ADSL line. We are registered cablers with the Australian Communications and Media Authority. How we repair your phone line. Email report to you at time of signing, and video link later that day. If you are getting internet and no dial tone, you have 1 leg open circuit, this will need to be looked at by a technician. If you want to spend more time, take the covers off the socket and see if corrosion is present and if the two wires are attached? If all else fails book online here to have one of our technicians fix it for you. Getting a Refund from your ISP if the Fault is their Problem. Phone line repairs are best left to the experts, and that is what you are getting by using our service. We are the number 1 accredited go to company on the Sunshine Coast for private fault finding services for your internal phone cabling. There are many things that can affect your phone lines quality and ADSL speeds, from faulty equipment such as filters, leads, fax machines ,to a myriad of other things that can be plugging into your internal phone network. It can also be things like a faulty length of cable, corroded socket terminals, loose connections, or a fault that is not in your home wiring or equipment but inside the Telstra distribution network.Most of the time you would have rang your ISP and told them you are having a problem with your phone line, they might have run some tests over the phone, and either told you the problem is internal and you should use a private technician, or, they will send out one of Telstra’s technician or contractors to look for you. But they also tell you if they find the problem to be internal that they will charge you a hefty sum of money per every 15 min that this tech was there, and this is not to fix the problem but just to tell you that you have one. And then you find out they don’t fix this problem and you need to use a private technician.Now what do you do? Well a lot of times in this case it is better much better to use our service first, and here is why. Here is the kicker, if the fault is in the Telstra network, and they told you the fault was internal, we will draft a report and document our findings in written word, photos, and video, and speed test results that get emailed to you, now you can use this proof to go to your ISP and apply for a refund for using our service, because they advised you wrongly and now you are out of pocket. So, it ends up being a FREE service. What Do I Do If the Fault Is in my Lead-in Cable? If we on the day determine that the fault is in the network, you will need to call your ISP. Your ISP will log a fault with Telstra and then have a Telstra tech or contractor such as ISGM take a look at this fault for you. If they establish that indeed this is a network fault, and this fault is in your lead-in cable, this is where it can be a grey area and very frustrating. If you are not a Telstra customer there is a good chance that your Internet Service Provider (ISP) is not going to move on having this cable replaced at their cost. As before back in the glory days of Telstra this cable was replaced at the cost of Telstra because it was still classed as part of the network, in all reality it still is part of the network but ISP’s can take up to 6 months just to have someone come out to take a look, and you are still paying for it.